The Twin Cities Alumni Network, also known as TCAN, is a local networking and events organization for alumni clubs drawn from the Ivys and other elite and top-50 ranked schools located outside of the state of Minnesota. Seeking a site revamp that would provide an easy way for the organization to communicate with its members, the TCAN board, comprised of some “tough customers” from schools like Harvard, Yale, Columbia, MIT, Chicago, Penn, Dartmouth, Northwestern, Johns Hopkins, NYU, Stanford, and more, felt that the current site was outdated and needed an overhaul. Likewise, they sought a dynamic, multi-club event calendar to encourage inter-school networking and an efficient content management system that would enable designated club leaders to post frequent meeting-related events and social content. 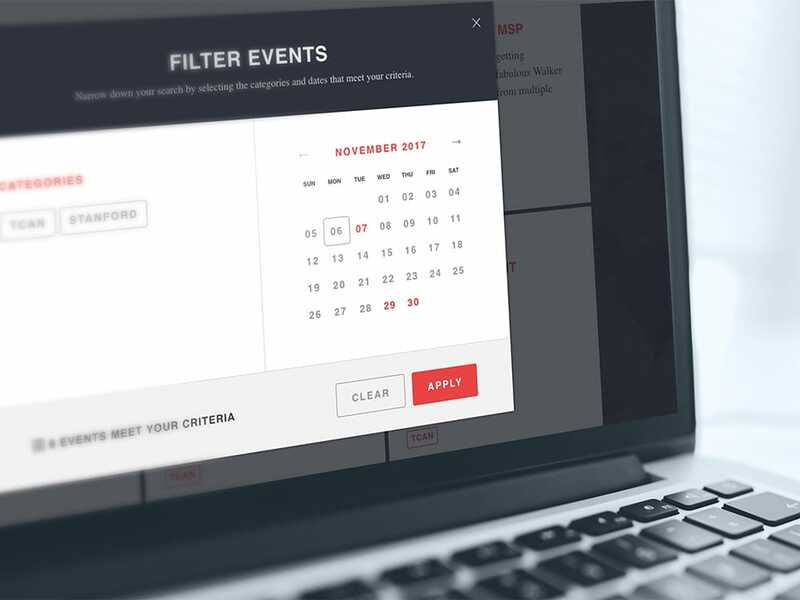 As the novel interactive calendar was the focus of the site, the MVP team composed a new and highly effective single-page site that went far beyond any template. 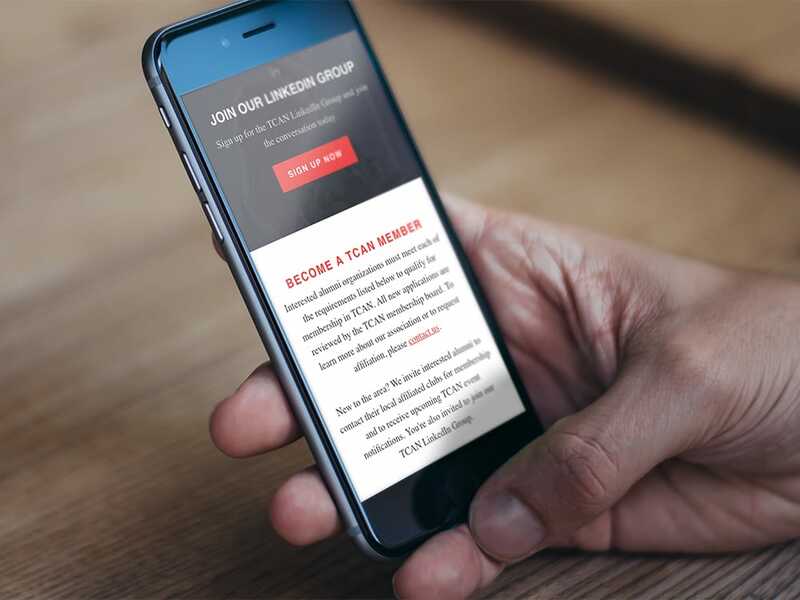 With greatly improved user experience, the new alumni community keeps club members informed of both TCAN-wide and own-club events while providing a simple method of enabling new clubs to join the group. 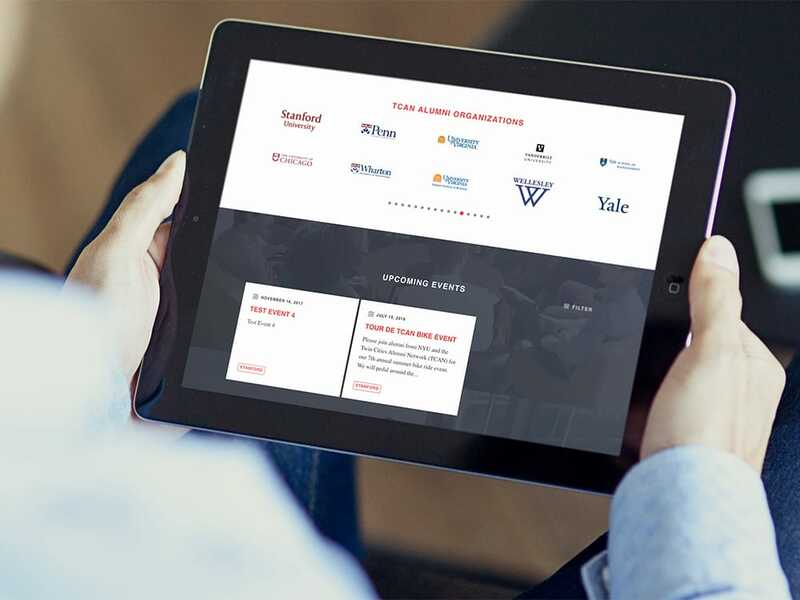 Streamlined, visually integrated and uncomplicated, the new TCAN site offers alumni the opportunity to view and register for upcoming get-togethers in a clear, custom-made event calendar. This feature was critical, since it is used by both leadership and members to not only promote gatherings and find events but to ensure that individual club meetings don’t overlap. Dynamic event cards invite users to click and learn program details through an interactive set of icons and text.